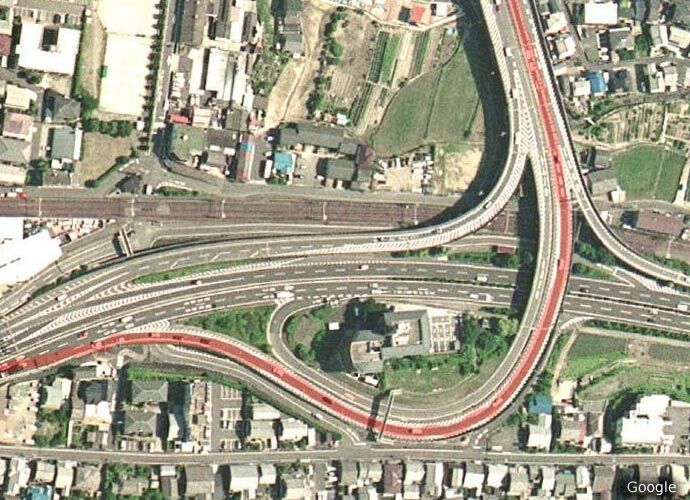 Driving today on a road in Kyoto today that I've driven many times in the past (the road I reddened above, traveling from the upper right to the lower left), I was surprised to notice for the first time that there's a building right in the middle of an interchange cloverleaf. Quite efficient, if not a bit unpleasant for the occupants of the building. I enjoyed your blog and reading about your holidays. Good job on mailing your holidays cards on Christmas day. We have not mailed ours yet. We miss you guys! Anthony is very cute!